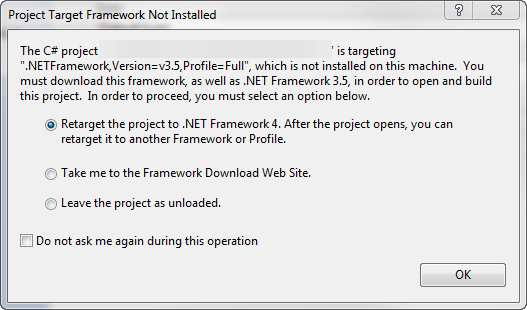 I never had such a problem in this installation, moreover the project was a WPF 3.5 project, and there also another WPF 3.5 project in the same solution that works perfectly. So I decided to open the project file to understand what can be wrong. As you can see in figure 2 I Have a TargetFrameworkSubset in the project that refuse to convert and I do not have the same property in the other WPF project that converted with no problem. Once that property was removed, I was able to reload the project and work with it with no problem. Next Next post: Using Shims in Visual Studio 11 to test untestable code.